It was with deep sadness that members of Council received the news, at their meeting on October 17th, of the death of Professor Thomas L. Berger the previous week. Tom Berger became Malone Society Treasurer for the United States (a position he held for nearly thirty years) at a particularly turbulent period in the Society’s affairs. The chaos into which the Society had fallen in the early 1970s had been restored to a degree of order in America through the sterling work of Professor G. E. Bentley, but it fell to Tom, as his successor, to return the US sphere of the Society’s activities to their once-flourishing state. Characteristically, he brought not only considerable energy and enthusiasm to the task, but a whimsical humour designed to attract younger scholars to an organization associated with scholarship of the most exacting (and superficially uninviting) kind. 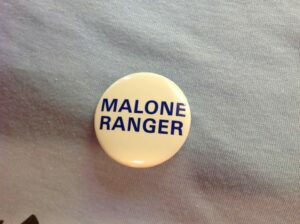 It is to Tom that we owe the ‘Malone Ranger’ badges and Tee shirts (the latter recently revived), the ‘Malone Society Fun Run’, and a host of highly inventive conference stalls acquainting the uninitiated with the joys of belonging to a quirky, dynamic and highly idiosyncratic organization. For those of us who worked with him he was a tower of strength on a range of fronts – ready to conjure up money when needed, to offer advice as we confronted a host of problems arising from the Society’s near-demise, and to bring his own scholarly expertise into play in the editing of three of our publications (and making a signal contribution to a fourth). He was a relaxed presence at Council meetings on his visits to England, a witty and charming correspondent, and a firm believer in the value of the Society’s work. We shall miss him very much. Our annual competition for Malone Society Fellowships and Research Grants closes on 30 October 2015. Take a look at our Grants page for details, and do consider making an application. You can see a report from one our 2014 grant-holders, Maria Shmygol, on her research into William Percy’s manuscript play The Aphrodysial, in two posts below. 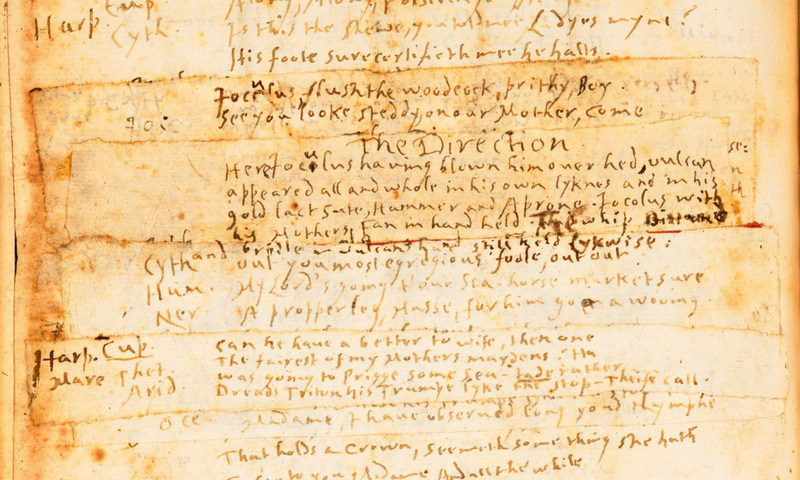 This is the second of two blog posts from Maria Shmygol about her research into William Percy’s manuscript play The Aphrodysial, for which she received a Malone Society Fellowship. Maria is based at the English department of the University of Liverpool, where she is assisting Nandini Das with her work editing Volume 6 of a fourteen-volume critical edition of Richard Hakluyt’s Principal Navigations, general edited by Daniel Carey and Claire Jowitt for Oxford University Press. She recently completed an AHRC-funded doctoral project entitled ‘“A Sea-Change”: Representations of the Marine in Jacobean Drama and Visual Culture’, research for which engaged with a range of commercial plays, civic entertainments, and court masques. Maria’s current work—particularly her edition of William Percy’s The Aphrodysial, for which the Malone Society awarded her a Research Fellowship—develops her interests in textual editing and manuscript culture. Other research interests include cultures of knowledge in the early modern period and the relationship between natural history and print. She was the co-organiser of a conference entitled ‘Making Knowledge in the Renaissance’ (Liverpool, March 2015) and is currently writing an article on theory and practice in the textual works and artisanal practice of the French Huguenot potter, Bernard de Palissy. The Aphrodysial is a piscatory pastoral (Percy himself identifies it as a ‘marinall’ in the running title) and is rather unique as it is set almost entirely underwater. The play follows the events leading up to the Aphrodysial sea-feast at the court of Oceanus, where Cytheræa presides over the festivities and features an exciting array of characters lifted from classical mythology and literature. As well as Vulcan, Jupiter, Proteus, Cupid, and the nymphs Arida and Humida, the play unsurprisingly makes use of characters specifically associated with the sea, such as Thetis, Nereus, Oceanus, and Arion, all of whom, in one way or another, become embroiled in romantic schemes and pursuits. Likewise, Percy capitalizes on the popularity of the Hero and Leander story which he adapts in his play with a suitably happy conclusion befitting the festivities and contests in this remarkably innovative piece of drama. One of the play’s most striking elements is a monstrous talking whale that a group of somewhat dim-witted fishermen attempt to capture as a prize for Cytheræa. As well being a source of spectacle and slap-stick, the whale proves instrumental in resolving several of the play’s weightier concerns. When the ‘monstrum horrendum’ is dissected at court, an apprentice boy is found in its belly and revealed as the ventriloquizer of the hideous creature. The boy makes known that he is in possession of Thetis’s lost magical bracelet, which explains the oracles and different tongues that the whale was previous able to utter to the amazed fishermen. The preceding parts of the play devote ample attention to Thetis’s suitors and their fruitless search for the enchanted bracelet, since she had vowed to marry no-one other than its finder. Following her initial chagrin at the idea of marrying the apprentice boy, she offers him a bribe to forego his right to her hand and so preserves her virginity. This description vividly calls to mind the mechanical water pageant devices commonly used in the Lord Mayors’ Shows on the Thames. The hydraulics and pyrotechnics that the fisherman’s description alludes to reveals Percy’s familiarity with such devices shaped like fish. A description of precisely such a device is found in the Ironmongers’ records for the waterworks used in the 1609 show: a whale ‘rounded close without sight of the boate and to row with ffins open for ffireworkes at the mouth and water vented at the head.3 It is my hope that my edition will make it possible to fully address the ways in which Percy’s literary and cultural experiences shaped this fascinating and regrettably little-studied play. Although Percy’s poetic and dramatic efforts were derided in a smattering of essays written in the 1930s, Matthew Dimmock’s more recent edition of Mahomet and His Heaven (Ashgate, 2006) has highlighted how provocative Percy’s drama can be when read alongside similar material written by his contemporaries. Percy’s plays are remarkably inventive and, as is the case with The Aphrodysial in particular, bring together a variety of diverse literary sources and characters.4 For example, Percy imaginatively dramatizes a world of classical deities in a way that shows awareness of conventions used in masque texts as well as civic pageantry. The play is an important early example of the kinds of ‘underwater’ themes that would characterise masques and entertainments that flourished at the Jacobean court in the years following its composition.5 I’m really excited to be working on the play and hope that my edition will generate interest among scholars and practitioners alike – I’d be delighted to see a script-in-hand production of the play once the modernized text is ready, so if there are any interested parties, please do get in touch! 1 Madeleine Hope Dodds, ‘William Percy’s Aphrodysial’, Notes and Queries, 161 (1931), 237-40 (p. 237). In his entry on Percy’s Mahomet and His Heaven, Wiggins suggests that ‘one scrap of evidence tying the play [i.e. Mahomet] to 1601 (and indeed the Children of Paul’s) is the fact that the subtitle, A Dream of a Dry Summmer, is quoted in Blurt, Master Constable, performed late that year by the same company (see British Drama, 1533-1642: A Catalogue (Oxford: Oxford University Press, 2011-2014), vol IV: 1598-1602, p. 339). Mary C. Erler provides a very useful overview of ‘William Percy and Plays at Paul’s’ in Ecclesiastical London, Records of Early English Drama (Toronto and British Library: University of Toronto Press, 2008), pp. 278-91. 2 For instance, towards the end of first act of the The Aphrodysial, the stage direction calls for ‘a shower of rose-water and comfits, as was acted in Christ church, in Oxford, in Dido and Aeneas’, which clearly refers to a performance of William Gager’s play, an account of which appeared in Holinshed’s Chronicles (see Patrick Kincaid, ‘A Critical Edition of William Percy’s The Cuckqueans and Cuckolds Errants’, unpublished doctoral thesis, University of Birmingham, 1999, p. 25. 3 Jean Robinson and D. J. Gordon, eds, A Calendar of Dramatic Records in the Books of the Livery Companies of London, 1485-1640, Malone Society Collections, 3 (Oxford: Malone Society, 1954), p.73. 4 Harold N. Hillebrand rather unfairly described Percy’s works as ‘dramatically and artistically […] wretched—the prolix, pedantic, bloodless, laboured excogitations of a queer, cramped, academic personality; only when one tries to build [the plays] into this picture of the man do they acquire a half-pathetic, half-absurd interest’ (‘William Percy: An Elizabethan Amateur’, Huntington Library Quarterly, 1:4 (1938), 391-416 (p. 408)). 5 In fact, Kincaid supposes that the Percy’s affectation to write the stage directions in past tense was caught from masque texts (‘A Critical Edition of William Percy’s The Cuckqueans and Cuckolds Errants’, unpublished doctoral thesis, University of Birmingham, 1999, p. 107). We are delighted to announce that the winner of the John Edward Kerry Prize for 2015 is Amy Lidster of King’s College London. Amy is working on a PhD entitled ‘Producing the “History” Play: From Stage to Page’ under the supervision of Sonia Massai. Her research research investigates the influence of performance and publication practices on the development of early modern history plays, drawing attention to the multiplicity of ‘producers’ reflected in the extant texts, and highlighting the role of theatrical companies, patrons and stationers in shaping historical drama through a variety of political, aesthetic and economic strategies. She will receive 30 Malone Society volumes and a year’s free membership – watch this space for a forthcoming blog post on the way in which the work of the Malone Society has facilitated her research. This is the first of two blog posts from Maria Shmygol about her research into William Percy’s manuscript play The Aphrodysial, for which she received a Malone Society Fellowship. Part two can be found here. I am currently editing William Percy’s manuscript play, The Aphrodysial (1602), which will be published by Digital Renaissance Editions. I’m very grateful to have received a Malone Society Fellowship, which helped to support me in carrying out a transcription of my copy-text at the Huntington Library earlier this year. This two-part blog entry will provide an introduction to Percy, his manuscript, and my work on it (Part I) and an overview of Percy’s remarkable play and its interests in staging marine spectacle (Part II). The Aphrodysial is extant in only two of these holograph copies: Alnwick 509 (1646) and HM4 (1647). As with the other plays in both manuscripts, The Aphrodysial is written in a legible, but shaky, italic and has been revised several times throughout. Working with Percy’s manuscript at the Huntington presented a number of interesting issues. I’m using the Huntington copy as the basis for my edition because it represents a more ‘final’ version of the play than does the ‘experimental’ text found in the slightly earlier manuscript. Nevertheless, as the images below make clear HM4 is riddled with copious emendations that take the form of deletions, insertions, marginal notes, and a plethora of pasted-on slips, which made transcription of the manuscript somewhat of a challenge. The peculiarities of Percy’s shaky italic hand initially took some getting used to (e.g. the difficulty of distinguishing between his e/t forms). What proved most challenging were the repeated instances of very cramped text, which typically took quite some times to make sense of. However, nothing proved more frustrating than the presence of the pasted-on slips, especially the instances where multiple slips are pasted on top of one another, given that it’s impossible to see exactly what is underneath them. Oddly, the frustrations of working with this manuscript seemed fitting for a rather eccentric play such as this. The material presence of the emendations offers a valuable insight into the frustration that Percy himself much have felt when revising his play and preparing the manuscript, arduously fussing over fine details and changing his mind back and forth between choices such as ‘bracelet’, ‘love-rolle’ and ‘ceston’, for example. The manuscript bears witness to the ways in which Percy worked with and shaped his play, revising and perfecting both the dialogue and the stage directions throughout. It’s evident that thinking about the play in performance was very important for Percy, since he provides alternative directions for boy and adult actors’ companies, being careful enough to note that fake beards should be provided for the boys but not for the men, for instance. The format of my edition for Digital Renaissance Editions will enable me to do justice to Percy’s play by making the surviving manuscript versions available alongside my edited text. The edition will include facsimile images of both MS copies and my transcriptions of them, together with a modern-spelling annotated edition (which will have interactive links for glosses and longer explanatory notes). The material will be electronically tagged, which will facilitate navigability between modern text, transcription, and facsimile at the click of a mouse. DRE’s open-access policy will make this fascinating and regrettably little- studied play freely and easily available to students and researchers alike. The edition will likewise invite more critical engagement with Percy’s drama, the likes of which I have been undertaking in recent years.2 It is my intention that the edition will encourage a further reassessment of the style and content of Percy’s play and its place in early modern literary studies. 2. I have carried out work on the play for the purposes of my doctoral thesis and have presented a seminar paper on ‘Dis-enchanting Marine Wonder in William Percy’s The Aphrodysial’ at the Shakespeare Association of America Annual Meeting (St. Louis, MO, April 2014) as well as a paper entitled ‘‘Such a fish as never was heard of’: A Whale for a Stage in William Percy’s The Aphrodysial’ at the Society for Renaissance Studies Conference (Southampton, July 2014). The Malone Society is very pleased to inform members and others that a symposium, ‘Marginal Malone’, will take place on 26 June 2015 at the University of Oxford. 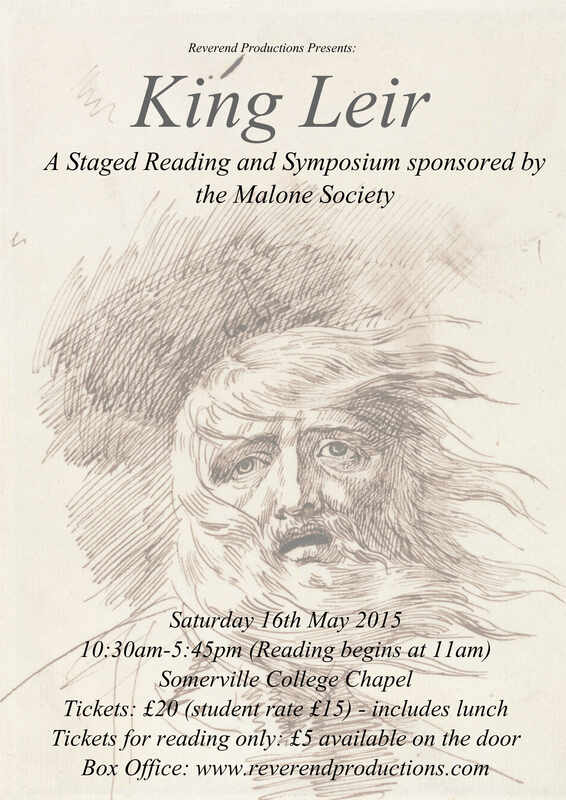 This symposium examines the lives and afterlives of Malone’s readings of English literature, and is a collaboration between the Yale Program in the History of the Book and the Bodleian Centre for the Study of the Book. The speakers are Margreta de Grazia, Arnold Hunt, Clive Hurst, Kathryn James, Ivan Lupić, Bill Sherman, and Tiffany Stern. The staged reading will commence at 11am. Speakers in the afternoon symposium will include Professor Tiffany Stern, Professor Katherine Duncan-Jones and Professor Sir Brian Vickers. Please see below for the full programme. Tickets £20 (students: £15). Admission includes a sandwich lunch and afternoon tea. For the full programme, see our ‘Events’ section. 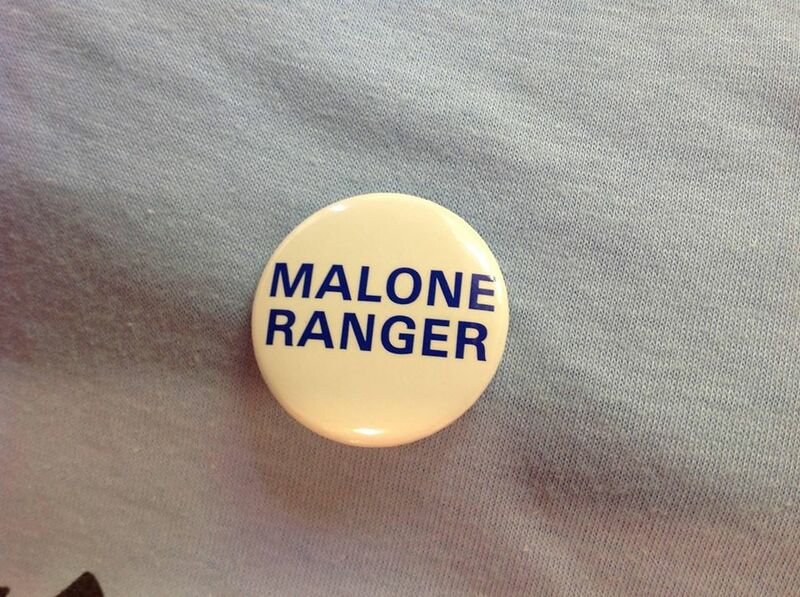 Most of us have a favourite Malone Society title. Add a dash of creativity and a photo, and you could win that volume. We are launching our brand new photo competition today, and this is how you participate: 1) pick your favourite title from our list of publications (https://malonesociety.files.wordpress.com/…/malone-catalogu…) 2) Get creative: create a little scene with lego men, do a drawing, use sock-puppets – it’s all up to you, so long as the title is clear. 3) take a photo and post it to twitter or facebook with the hashtag ‪#‎malsocphoto‬. Winners will be announced here, on twitter, and on facebook, and we will be picking a new one each month. We are changing our Book of the Month scheme. We have gone through our entire catalogue at this point, and, not wishing to repeat ourselves, we will now be tailoring our offers to relevant events on the academic and performative early modern stage instead. Check this space for future updates, and feel free to make suggestions regarding events you feel may be of interest – we always appreciate your comments. The Book of the Month for December 2014 is Collections IX. If you’re a member of the Malone Society, take advantage of this great deal and buy a copy today for only £5.00 plus £3 postage! (The regular price is £15). The ultimate bargain! Five fascinating items, offering a range of insights into early modern theatrical practice for just £1.00 each! Marvel at the costs and variety of items involved in mounting the Corpus Christi play, and a range of other dramatic entertainments, in sixteenth-century Sherborne (Dorset)! Contrast the paucity of twenty-first-century theatrical companies touring the provinces with the number of prestigious troupes visiting Aldeburgh (or being paid not to visit Aldeburgh) from 1566 to 1635! Re-live the delights of an Elizabethan jig! Laugh at the activities of the citizens of John Tatham’s (?) seventeenth-century comedy! Join the hunt for the authors of five fragmentary ‘waifs and strays’ of the Elizabethan-Jacobean stage, including the opening lines of ‘A stately Tragedy contayninge the ambitious life and death of the great Cham’, and part of a masque possibly performed by a juvenile troupe in the 1620s as part of the Christmas festivities in the house of Lord Grey. The items included in the volume are from manuscript sources in a range of institutions, including the National Library of Wales, the Essex Record Office, the Folger Shakespeare Library, and the Huntington Library. They were edited by A.D. Mills, J.C. Coldewey, J.M. Nosworthy, J.L. Murphy and G.R. Proudfoot. This offer has now expired; to buy the book please go to our online shop.